Looking for a little school holiday activity crafty fun to make with the kids? 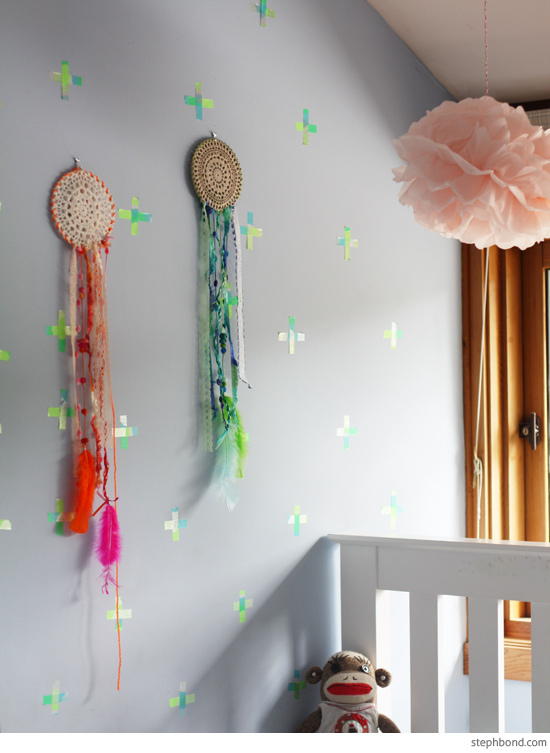 Lovely Deni from Free Range Living sent us two sweet DIY dreamcatcher kits to try out and we love them to bits. They were fun and easy to make (with assistance for a 4- and 6-year-old) and look sooo cute up on the wall. 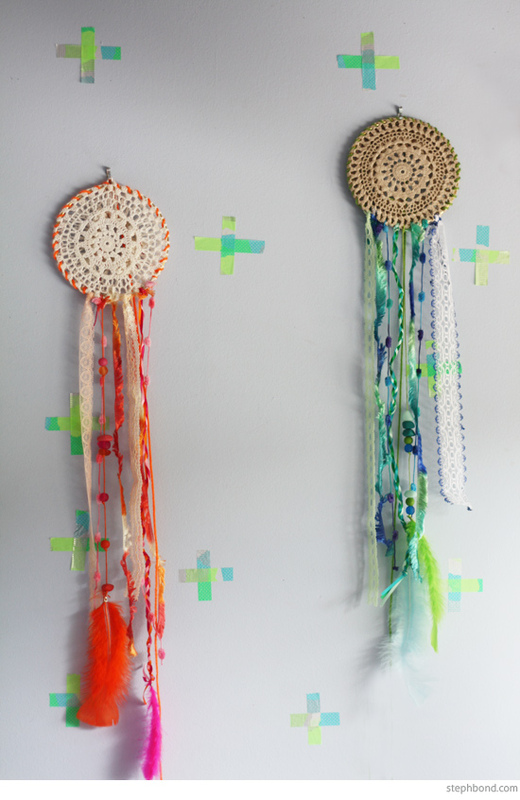 Kind of addictive too - I'd love a wall display full of colourful dreamcatchers. The kits come with everything you need to make a dreamcatcher including ring, doily, yarn, feathers, ribbons, trimmings, beads, a plastic needle and instructions. Oh - and a lovely sachet of fruit tea to brew and sip while you craft. You can find CreativiTea DIY Dreamcatcher kits in seven different colourways in the Free Range Living online store.